From now on companies can implement cooperation projects with ICCAS according to the German Medical Products Law DIN EN ISO 13485. 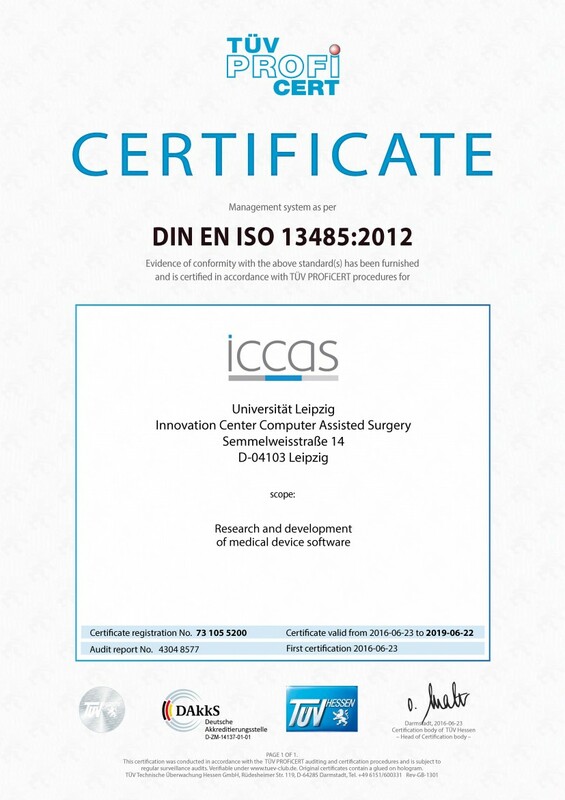 This is ensured by the successful ISO certification, which ICCAS received for its research and development of medical device software. For companies this means software systems developed in cooperation with ICCAS can be used with the requirements of quality standards of the medical products law. Thus, production processes and methods take place under defined guidelines which ensure a high quality of the products. The compliance of scientific and technical standards at ICCAS is the more important as the developed products will be applied directly to human beings.